Preventative care is 10x cheaper than treatment after the fact. Only 36% of Americans have dental insurance, which means that the need for affordable dental care is highly sought after, and dentists for low income families are in high demand. With premiums rising in the healthcare industry, you may be tempted to put off regular dental check-ups and hope for the best. 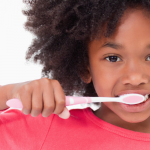 What challenges do low income families typically face in terms of dental care? Around 48% of the population–nearly half of Americans–qualify as low income. 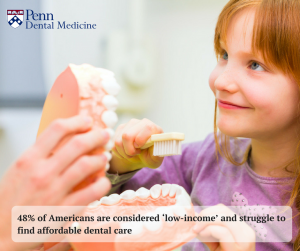 This statistic highlights a pressing need in our country for dentists for low income families. One of the biggest challenges for these families is a lack of access to dental care, especially for children. Being able to access good preventative care can also be an issue, oftentimes because dental insurance isn’t included on the family plan. Low income adults are also more likely to have chronic oral health problems. About 27% of adults between 20 and 64 have untreated tooth decay. 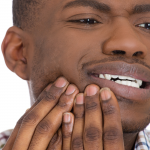 Though having dental cavities is an extremely common condition, it also carries health risks when left untreated. Untreated cavities can spread into the gum tissue and grow into abscesses. 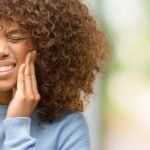 The pain of infection is often, unfortunately, what brings people to the dentist’s chair in the first place. As people age, their propensity for oral health problems increases. Older people suffer the highest rates of gum disease, dental decay, mouth infections, oral cancer, and tooth loss. While periodontitis affects a shockingly high percentage of Americans (47%), this disease affects the elderly population more aggressively. 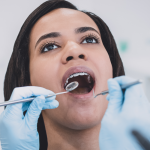 Black and Hispanic seniors, smokers, and those with lower incomes are more likely to have periodontal disease, According to the National Institute of Dental and Craniofacial Research, Black and Hispanic seniors, smokers and those with lower incomes are more likely to have periodontal disease. Where are the dental clinics for low income families? The key to improving oral health is good preventative care. Many families struggle to pay the costs of going to a normal dental clinic and don’t realize that there are other options of dentists for low income families. Penn Dental Medicine (PDM) offers professional dental services at greatly reduced price, making it possible for low income families to access the quality preventative care they need. PDM also houses a comprehensive array of dental specialists, who provide services at low rates. Whether you need dental implants or other restorative care, periodontal therapy, root canal treatment, or pediatrics, PDM is here with quality, affordable care. You can use this $25 off coupon for your first visit when you call our office at 215-898-8965.